Lancome Miracle Cushion Foundation Ingredients Review and Analysis: Is It Similar to Korean BB Cushions? Lancome's Miracle Cushion Foundation Liquid Cushion Compact SPF 23/PA++ is the first cushion foundation from a Western brand (if not one of the first), and it seems to be launched to much aplomb and fanfare in the West, (it hasn't hit this part of the world yet, though!). I found this entire trend interesting - while Western makeup and beauty trends are still exported to Asia, it also seems like the cross-pollination of beauty trends definitely goes both ways now. From the advertising I've been seeing Lancome do in the Western market, I was slightly amused to see that it was launched in the West to such fanfare and noise, with collaborations with Lisa Eldridge, Penelope Cruz modeling the product, Instagram hashtags, a mini-movie, and a microsite proclaiming the "new technology inside". I thought an interesting question to explore would be: From a formulation perspective, is the Lancome Miracle Cushion actually any different from the myriad of Korean BB cushions and cushion foundations we have here already? In fact, since BB cushions and CC cushions are really just souped up versions of BB creams and CC creams, are they even any different from your run-of-the-mill BB cream? Or, for that matter, a more traditional tinted moisturizer or foundation? 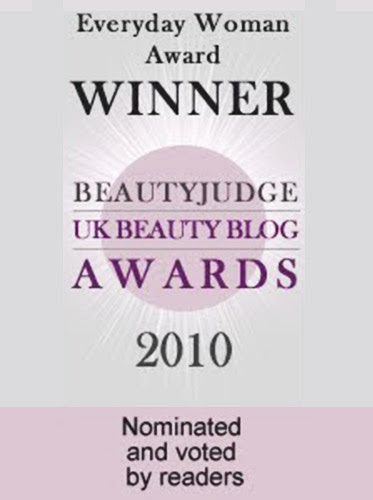 I thought this question was worth exploring, although I've already written about BB/CC Cushions before, because there is often a perception that Western BB creams/CC creams are somehow "inferior" to Asian BB and CC creams, although, as I've blogged before, from a formulation perspective, they're not significantly different. In fact, when I first blogged about BB creams and how they weren't really worth the hype a few years back, I got a bunch of feedback from some diehard BB cream fans saying that I was doing the analysis wrong, and that I needed to look at Asian BB creams because those were so much better than Western BB creams (nevermind that 1. I'm an Asian girl born, bred, and living in Asia, and 2. 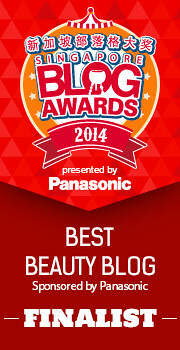 I looked at primarily Asian brand BB creams for that post). I guess what I'm trying to find out here is whether this perception of a Western BB/CC Cream/Cushion/Foundation is really justified by the ingredients, and since Lancome has just launched its Miracle Cushion, it seemed like the perfect time to compare a Western Cushion to several Asian ones, and see if there was really any difference! Illamasqua's Glamore Lipsticks are a fairly new finish of lipsticks introduced by Illamasqua in 2014, and the shade range has been steadily expanding since then. The lipsticks have a satin finish (as opposed to the more matte finish of the brand's previous lipstick offerings), and these have been pretty popular. Since Illamasqua has just come to Singapore (there is a store at B1 at Takayashimaya), I took the opportunity at the store opening to do what I do best - swatch makeup! I just love swatching stuff, it makes me look all weird and anti-social at these events since I'm basically hunched over the testers swatching up my arm intensely (I swear I'm totally normal and sociable! I like people! Really! 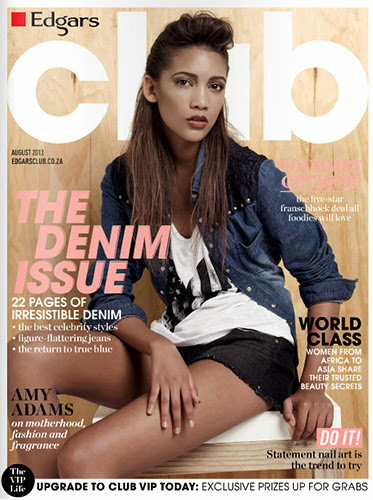 ), but a girl's gotta do what a girl's gotta do! Anyway, let's move on to the swatches. ISOI is a Korean skincare brand that touts itself as using natural products and "no harmful chemicals" (quote directly from the front page of the website). ISOI stands for "I SO Intelligent", and the main page of the ISOI site also encourages people to "Be an Intelligent Customer, and use isoi" and its "speed-effective natural skin care". 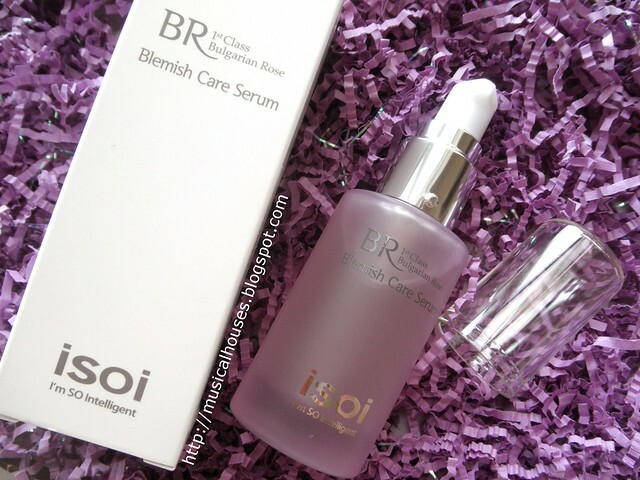 And, the bestselling product from ISOI is its Bulgarian Rose Blemish Care Serum, which I'm reviewing today. Let me first say, the irony of encouraging people to be intelligent consumers while trashing "harmful chemicals" and promoting "natural skin care" in general is not lost on me. The fact is, as far as skincare is concerned, chemicals are not inherently bad, and not everything natural is automatically good. This is particularly the case for skincare, where the application is topical, as opposed to ingested, so while certain ingredients are good for the body when eaten, they might not have the same effect on skin. For example, even simple, natural things like lemon juice can be bad when applied to skin, because they are phototoxic could trigger skin reactions when exposed to sunlight after application, while certain "chemicals" like retinols, are good for skin. But that's just the marketing, and in a highly competitive market, brands will market themselves in whatever way sells best to the customer and gets their attention. And, the natural skincare trend has been blooming for awhile (as we've recently seen at BeautyAsia 2015 and other trade shows), and shows no signs of abating. And since I'm the kind of consumer who pays more attention to the ingredients list of the product than who the spokesperson for the brand is, I'm pretty much indifferent to how the product is marketed. So, marketing aside, how does the product fare? To answer that question, we'll start at my very favourite (and my very usual) place to begin a product review - the ingredients list! BeautyAsia came to town a couple of weeks back, and it's one of the largest scale beauty trade shows in Singapore, so I couldn't miss it! I also took photos of some of the highlights that I'd like to share with you guys! There were tons and tons of things to see (over 100 booths! ), so I thought I'd just give you guys a quick view of some of the highlights, and what I bought! 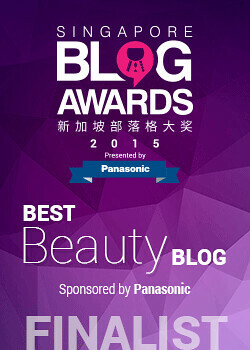 As you might guess, this year's BeautyAsia had a pretty big crowd, as always. And, just like last year's BeautyAsia 2014 and BeautyAsia 2013, some of the perennial favourites were there - Hakuhodo was there with their gorgeously soft (if expensive!) brushes, and the nail polish distributors were there too. So, without further ado, let's take a dive into what I saw there! SKII (also written SK-II) is a Japanese brand of skincare and beauty products, and is famous for incorporating the ingredient "Pitera" into its products. In particular, its star product, the Facial Treatment Essence, has been massively popular in Asia. As a result, SKII has become something of a cult brand, with lots of fans swearing that it gives them skin that looks everything from younger, to fairer, to bouncier (I'm not making any of these up, by the way - I actually have real-life friends and colleagues who really swear by this). So, I was pretty excited to try this out for myself, and review it! The products I have are SKII's Facial Treatment Essence, the famous cult product, as well as SKII's Facial Treatment Clear Lotion, which is something akin to a toner (you also apply it with a cotton pad and swipe it on your face like a toner). Also, I have the SKII Facial Treatment Mask. 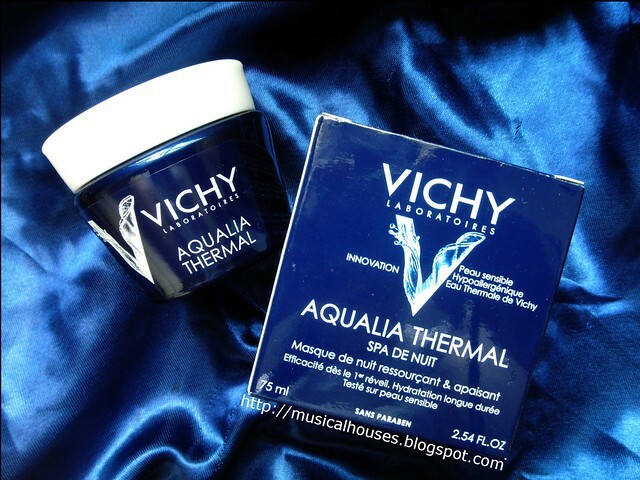 You're supposed to apply the Facial Treatment Clear Lotion, and then the Facial Treatment Essence, as part of your daily routine, with the Facial Treatment Mask being more of a periodic treatment as opposed to part of your everyday routine. Even before I began this review, I had multiple people asking me about "Pitera", and whether it really worked or not. I had been contemplating a review of the science on Pitera for awhile, and I figured this would be the perfect way to start the post!